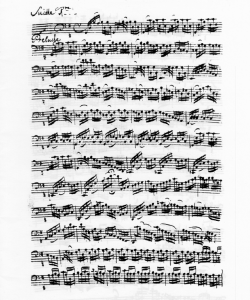 First page of the original Manuscript (by Anna Magdalena, Bach’s wife. Classical Guitar Tabs for each piece. All videos in this course are now downloadable! In addition, this course includes an interpretation discussion, with an annotated selection of Youtube performances, an “urtext,” unfingered score, and a Music Theory section with a detailed videotaped harmonic analysis of the piece. This video is downloadable on Vimeo—just follow this link. This video is downloadable on Vimeo–just follow this link. The cost of the course is $30. There are several sample lessons that you can view by clicking on the blue links in the lesson list below.